When planning for Portland we mostly looked at how to eat our way through the city. N was equally excited to try all the amazing beer options in the city though. 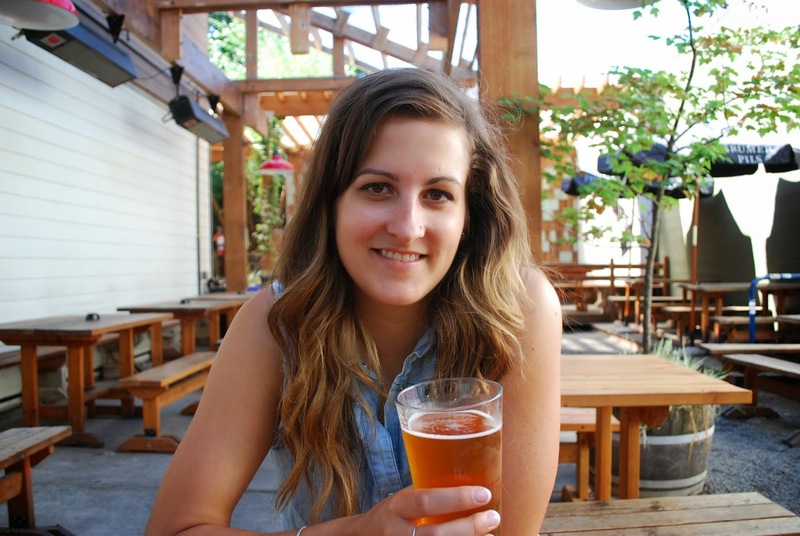 Portland is well known for its great craft breweries. One of the first places we went was Clyde Common. I love this restaurant and bar. Their beer list was the first to introduce us to The Common’s Urban Farmhouse Ale. This was probably my favourite beer of the whole trip. Not surprisingly, it won the 2013 Beer of the Year for Willamette Week. Deschutes was the first actual brew pub we tried. We decided to do two different samplers to maximize the amount of different beers we tried. We also tried the Green Monster, which is an accidental sour beer they now brew every year. It was very different. Not bad, but I’m glad we just did a sample. I really enjoyed the Mirror Pond Ale and the Black Butte Porter. The brew pub was a fun experience. On the East side of the Willamette, we found a fun patio at Mississippi Studios and Bar Bar in the Mississippi District. They had lots of tables in a little courtyard beside the actual bar. It looks like it’s a fun venue for concerts in the evenings as well. We couldn’t come to Portland without trying Rogue Brewery. 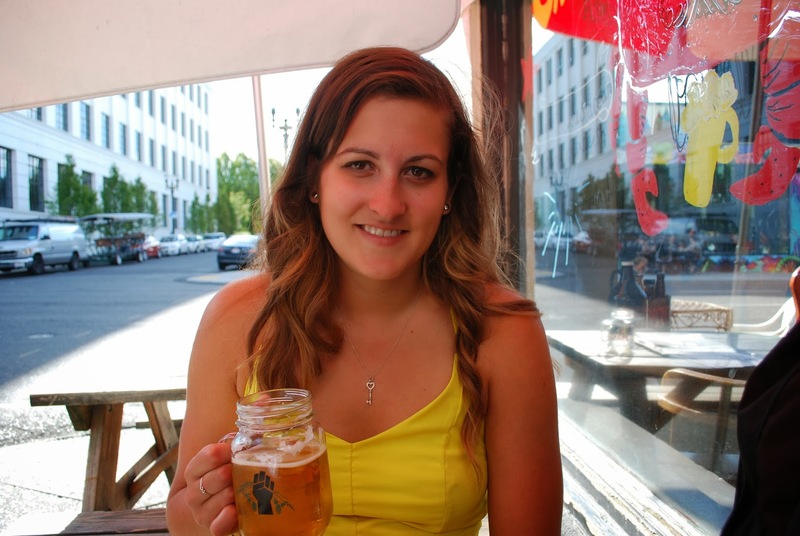 Even in Calgary, this awesome craft brewery is well known among beer lovers. 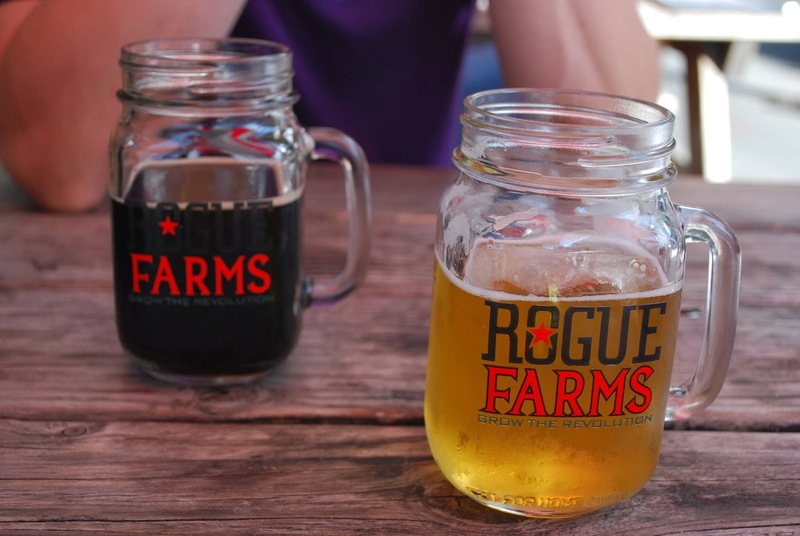 We shared a sampler at their brew pub in the Pearl District and then both tried one of their Rogue Farms Beers. I had the Good Chit Pilsner and N had the Dirtoir Black Lager. We both loved Rogue Farms. All their beers are amazing, but the Farms are definitely my favourite. We brought home a large bottle of each to enjoy at home. Our last night in Portland, we had plans to head to Pok Pok on the East side for dinner so we decided to try a little pub on that side of the river as well. Beer was a cute little pub with a long list of bottled beers. We went for a couple of brews they had on tap. Delicious as always. 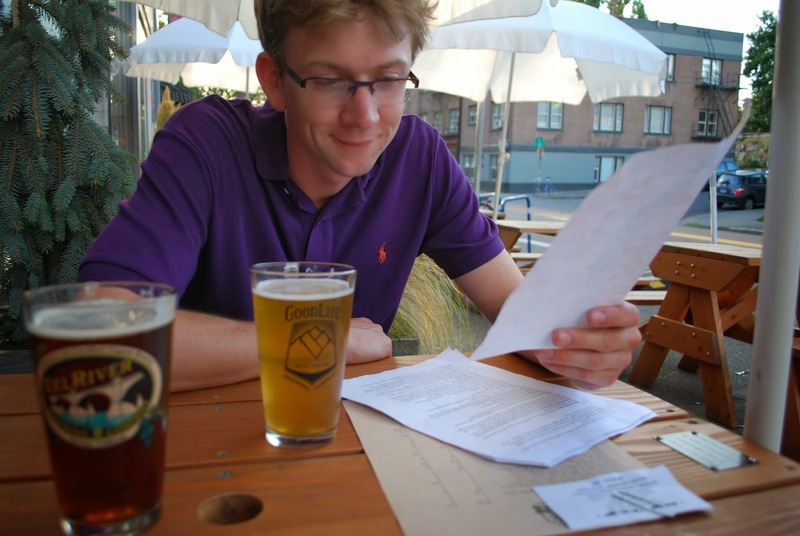 It seemed to be the trend when it came to beers in Portland. There were lots of other pubs we also went to that we loved. Henry’s Tavern has a great assortment of beers on tab and a pretty great happy hour food menu (try the mac and cheese!). We also had a great time challenging each other to Pac Man and Pin Ball games at the quirky Ground Kontrol. 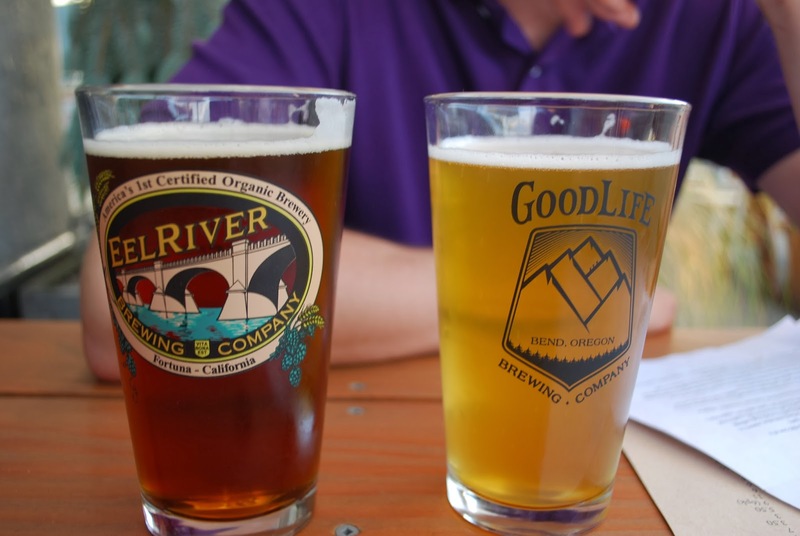 Portland has no shortage of options for beer lovers. The hardest decision we had to make was which beer to try next. There just isn’t enough time to sample them all!